Furnaces Products In Spokane, WA | Air Control Heating and Electric, Inc. 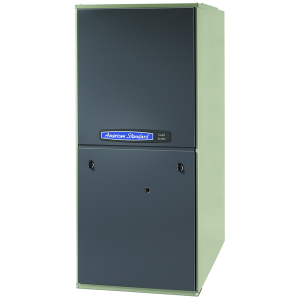 Looking for a furnace installation or repair in Spokane? What about furnace replacement in Coeur d’Alene? Are you in need of replacing your furnace filter? Your search is over. Air Control Heating and Electric, Inc. has the widest selection and best prices in town! Let Air Control Heating and Electric, Inc. help you through the steps of choosing the right furnace for you. We offer services on trane furnaces, goodman furnaces and many others! 1. Gas, Electric or Oil? First, know what fuel you want: for the lowest cost replacement furnace, you will probably want to stay with the same fuel. Air Control offers many furnace options in gas, oil and electric models. 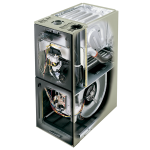 GAS: choosing the right gas furnace will depend on what efficiency and features you want. For gas, you should choose at least a 90% efficient model, but you can also buy up to a 95% efficiency model. You can also choose from variable, modulating or fixed speed fan options. Our Comfort Consultant will help you sort out these options and make the best choice for your home. 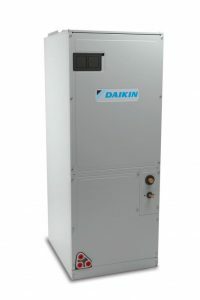 Electric furnaces are sometimes called “electric air handlers” and are used most often in conjunction with a heat pump when gas is not available. But they can also heat a home by themselves. OiL furnaces have changed a lot since the smelly old models of yesteryear. A new oil furnace with a modern burner will burn cleanly and nearly odorless, and can increase your combustion efficiency from 60% up to 85%. That’s a huge savings! 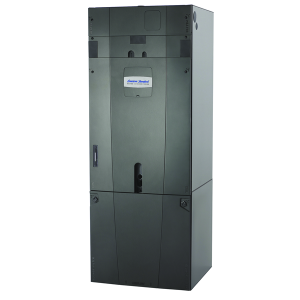 You can also choose to convert your existing oil furnace to gas–many people choose this option because it is relatively inexpensive. Highest efficiency is not always the best choice. While the highest efficiency furnace will definitely use less fuel, it also costs significantly more. For some consumers, the cost of the very highest efficiency furnace vs. the next level down exceeds the additional savings they gain on their heating bill. There are other considerations also, such as how long you are going to stay in the home, and whether the home is a rental or your personal residence. One thing you can count on is that Air Control Heating and Electric will work with you to find exactly the right furnace for your needs and budget. Operates quietly, efficiently and reliably with 10-year parts warranty. American Standard Gas Furnaces deliver an outstanding 95 % efficiency! They come in both multi-speed and 95% Variable Speed (Highest Efficiency)models. American Standard Gas Furnaces are the highest-rated furnaces by Consumer Reports Magazine. American Standard 95% gas furnaces come with a 5-year warranty on all parts, and a lifetime heat exchanger warranty. They are available in a wide range sizes and configurations and features to fit every application and budget. Forced Air Electric Furnaces use electricity to heat your home. 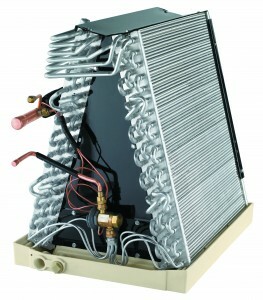 When used in conjunction with a heat pump, they make a very efficient system if natural gas is not available. 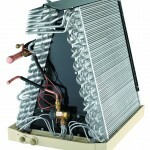 Electric furnaces come with an on-board cooling coil, so air conditioning can easily be added later. Unique cabinet design means less moisture and fewer dust particles to be drawn in from garages, attics and crawl spaces. This design also helps prevent energy loss and virtually eliminates condensation. In conjunction with a Furnace or Electric Air Handler, the open Forefront Evaporator coil provides indoor cooling, or it can provide heat as part of a heat pump system. It can also be used as a replacement for an existing defective Evaporator. 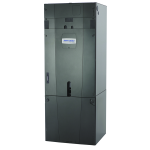 Save up to 30% of your heating costs with a modern oil furnace. Many old oil furnaces operate at 60% efficiency. 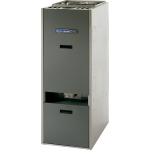 A modern American Standard “Freedom 80” Oil Furnace can deliver 80% efficiency. That’s a potential savings of over 30% in your annual fuel costs!